Mark, 38, was appointed Avenue manager in September 2016, and after an incredible turnaround which led to the club’s National League North safety, he was awarded with a new 18 month deal at the end of the 2016-17 season. Following a successful 2017-18 season in which he led the club to a 7th place finish and securing a play off spot he was awarded with a further contract extension to the end of the 2020-21 season. Bower had spent the last three years in charge at Avenue’s neighbours Guiseley, defeating all the odds to not only gain promotion to the National League, but also to avoid relegation from non-league’s top flight. 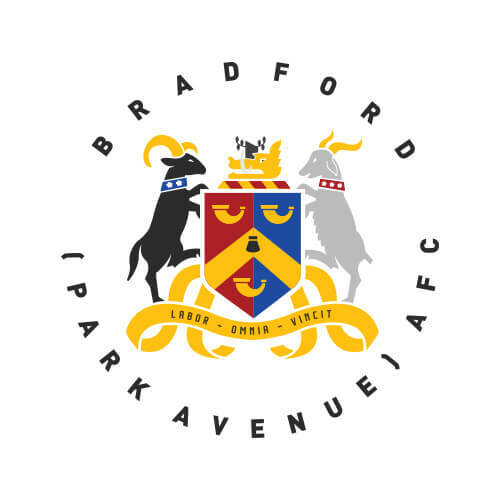 Born in Bradford, the former centre-back spent the vast majority of his playing days across the city at Valley Parade, making a total of 254 appearances for Bradford City over his 12 years at the club. Experienced midfielder Danny joined Avenue upon Mark Bower’s appointment as manager in September 2016. He was player-assistant during Bower’s three years as manager at Guiseley and assumed the same role at the Horsfall Stadium. Danny made 186 appearances in six years at Nethermoor, a mainstay of a side which finally achieved promotion to non-league’s top flight in 2015. Prior to Guiseley, Boshell spent prolonged periods at Grimsby Town and Oldham Athletic, where he came through the ranks. He has also featured for Bury, Stockport and Altrincham throughout his career. Attacking full-back Ryan joined Avenue in the summer of 2016, switching from neighbours Guiseley. The 31-year-old had spent the previous two seasons at Nethermoor, making 34 appearances as they gained promotion to the National League, before playing 38 times as the Lions defeated the odds to stay up last term. Prior to his second career stint at Guiseley, Toulson also helped Halifax to promotion from the then-Conference North. He in fact started his career at the Shay, before spells at Harrogate Town and Gainsborough Trinity. He joined Guiseley for the first time in 2010 before returning to Halifax after one season. Extending his stay with the club in 2017, it was announced that Toulson would take up a coaching role and figure less prominently as a player. Tally joined the club in summer 2016 as Sports Rehabilitator for the First Team and Academy sides. Having previously worked for Bury, Barrow and Ossett Town football clubs and Normanton Knights in Rugby League she studied sport rehabilitation at the University of Bolton. She has also completed placement work with Bolton Wanderers academy, Fiji and Wales international Rugby League sides, London Broncos, Wigan Warriors, Harrogate Town and Harrogate rugby club.